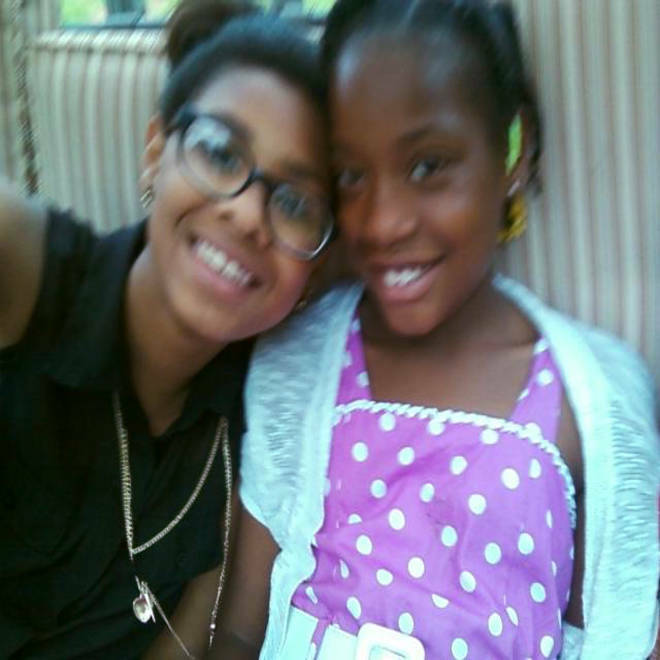 Ja'Nae Hornsby, 9, (right) with her cousin Taylor, 14, in a photo taken over the weekend. A 9-year-old girl who was "always smiling" is among the first of the Oklahoma tornado victims to be identified. Third-grader Ja'Nae Hornsby was one of the students who perished when the twister demolished Plaza Towers Elementary School in Moore, Okla. on Monday afternoon. The Oklahoma Office of the Chief Medical Examiner has released the names of seven people killed in Monday's storm: Hornsby, 65-year-old Hemant Bhonde and Kyle Davis, Sydney Angle, Megan Futrell, Case Futrell and Antonia Lee Candelaria. The medical examiner confirmed the victims' names but has not released all of their ages. Members of Hornsby's grieving family gathered Tuesday at a Baptist church in Oklahoma City to console each other after a night of anxious waiting ended with a hope-shattering call from the medical examiner's office. “They like to play dress-up,” she recalled. “My daughter puts jewelry on them and I took pictures of them dancing together and they took video. They were just happy. "She was always happy, always smiling." Ja'Nae Hornsby, 9, with her 2-year-old sister Jia, in a photo taken over the weekend. On Monday, Ja'Nae went off to Plaza Towers Elementary School while her father, Joshua, headed into Oklahoma City for work. As the tornado bore down on the suburb of Moore just before dismissal time, the father of two tried to race back home to get Ja'Nae from school and his two-year-old, Jia, from daycare, Angela Hornsby said. The highways were jammed, though, and by the time he got to Moore, the grade school had been reduced to a pile of rubble, its parking lot transformed into a triage area for surviving students being pulled from the debris. There was no sign of Ja'Nae, though. Her father and other relatives shuttled from shelter to shelter, “looking for answers,” Angela Hornsby said. She dialed all the hospitals that had taken the injured but could not find her niece. As night fell, Joshua Hornsby went to St. Andrew’s United Methodist Church, where a dwindling number of parents waiting for reunions were camped out. “He would not leave until he found out what happened to his baby,” his sister said. “They received a call while they were at the church this morning. Joshua Hornsby also lost his house to the twister. His youngest child, who was picked up from daycare by her grandmother, survived. 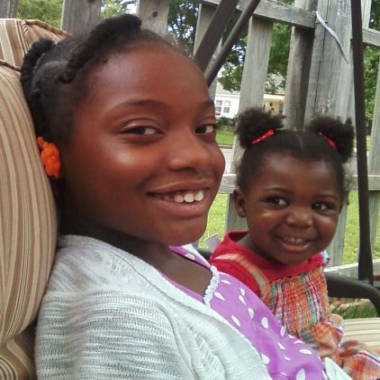 Ja'Nae, whose mother died last year of lupus, had doted on her baby sister, family members said. Pastor James Dorn Jr. of Mount Triumph Baptist Church said he had watched Ja'Nae grow up because her grandfather, Henry Hornsby, used to be the associate pastor there. 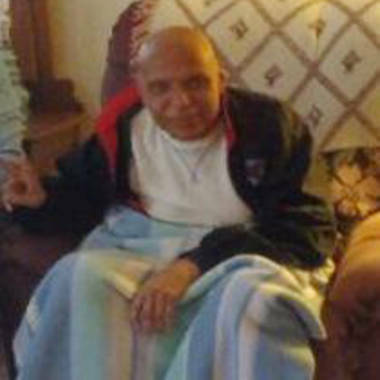 Hemant Bhonde, 65, died after a tornado struck Moore, Okla., on May 21. Like everyone else, he remembered her as full of joy. “She was a beautiful child to be around, someone you feel privileged to know,” he said. "She did well in school. She was just awesome." 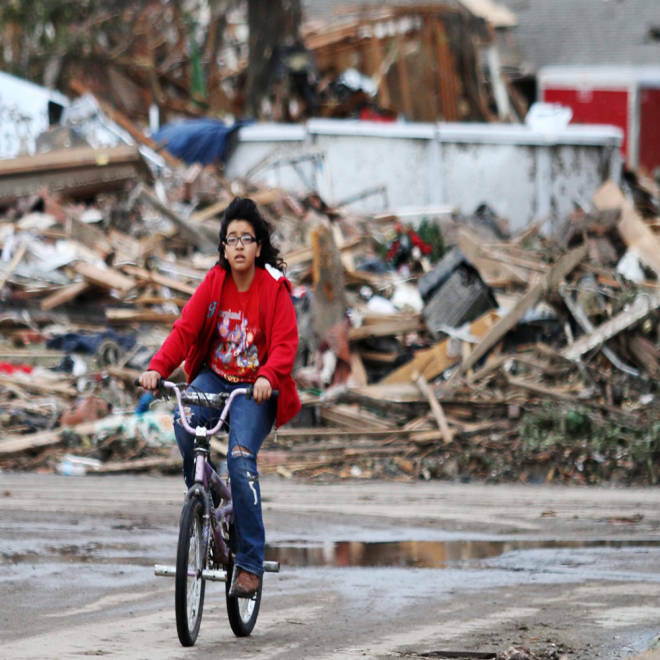 Officials in Moore late Tuesday also identified Bhonde as a victim of the tornado. His family members told NBC News that Bhonde became separated from his wife when the tornado hit their home. His wife survived. A monster tornado hit Moore, Okla., Monday afternoon, leaving at least 24 dead as the threat of further storms continues.